Questions probed by Mueller have been kicked over to the political processes. No collusion, no obstruction and no prosecution -- that's true to a point, and a significant point at that. But despite what President Donald Trump says, there is no exoneration. There is certainly no conclusion to the issues that have consumed much of the Trump presidency, either. The questions probed by special counsel Robert Mueller and examined by the Department of Justice have now been kicked over to the political processes that were always going to have to deal with them anyway. Mueller was imbued with unrealistic expectations that he would render final judgments on an immensely complicated series of subjects. He left it to the attorney general to determine whether the president obstructed justice, and Democrats on Capitol Hill will ask questions about that decision. 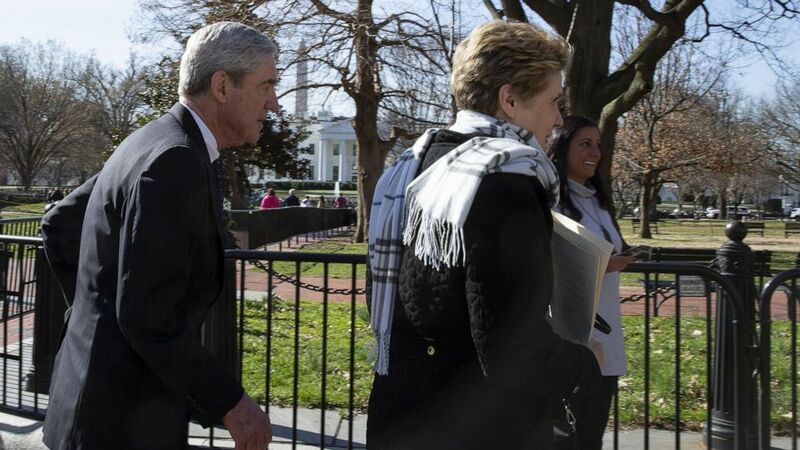 (Tasos Katopodis/Getty Images) Special Counsel Robert Mueller walks with his wife Ann Mueller after attending church, March 24, 2019, in Washington, D.C. Beyond that, and beyond the calls for the full Mueller report to be released, the Democratic presidential candidates are largely shrugging off the end of the Mueller era. Most of them have long known he was never going to do the hard work for them. "We need to recognize that's not going to change a lot of hearts and minds," Pete Buttigieg, the mayor of South Bend, Indiana, said over the weekend regarding the release of the Mueller report. The focus on Mueller will be in large measure about what he didn't find and what he opted not to do. But what he did bring to light -- in taking his time, in submitting his findings and in drawing out presidential actions along the way -- will be quite enough for the political system to digest for a long while. While the key findings of Mueller's report have been made public, Democrats vying for the party's presidential nomination are still preaching transparency. And as they prepare to campaign in the post-Mueller era, they are beginning to search for an effective messaging strategy that can no longer rely on the uncertainty surrounding the famed prosecutor's findings. "It is not often that I agree with Richard Nixon, but he was right to say that the American people have a right to know whether or not their president is a crook." Sen. Kirsten Gillibrand, D-N.Y., said Sunday during her official campaign launch speech standing in front of the Trump International Hotel and Tower in New York City. (Kena Betancur/Getty Images) Democratic presidential candidate U.S. Sen. Kirsten Gillibrand speaks during a rally in front of Trump International Hotel & Tower, March 24, 2019, in New York. "Nobody, including the president of the United States, is above the law. The people have a right to know what's in that report," Sen. Bernie Sanders said over the weekend during a swing through California. But in a sign that they have known for some time that their hopes of beating Trump in 2020 could never depend on the contents of Mueller's report, most Democratic presidential hopefuls -- Gillibrand and Sanders included -- are instead focused on pitching policies and honing a message of an America that could move on from the partisan bickering and rancor that has defined the last two years. 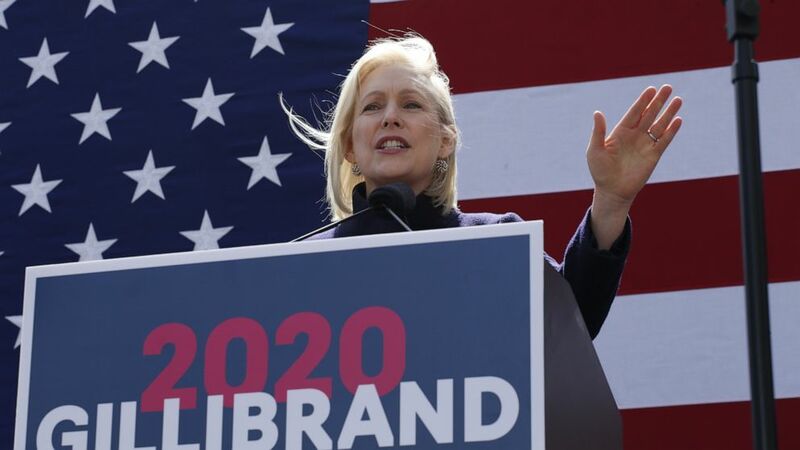 "I am not running for president because of who I'm fighting against, I'm running for president because of who I'm fighting for," Gillibrand said Sunday. Sen. Elizabeth Warren, D-Mass., has been running a policy-centric campaign, while former Texas Congressman Beto O'Rourke is pitching himself as a unifying figure that could transcend the nastiness of today's political discourse. Whatever Mueller's full report does reveal, the tone of these Democratic contenders indicates that their strategy for victory in 2020 is not just to offer an anti-Trump argument, but to articulate a clear vision of the type of change they want to see in this country. Democratic presidential candidates flocked to South Carolina in an attempt to court the black vote, but there were actually very few black voters at four events ABC News covered this weekend. 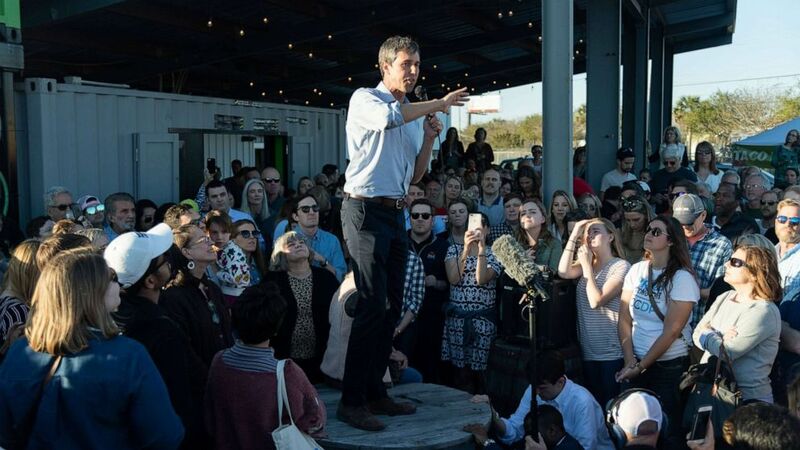 Noticeably, O'Rourke and Buttigeig lacked diversity among the crowds they drew on Friday and Saturday in Columbia and Rock Hill, South Carolina. Both cities are made up of roughly 47 percent of people of color. (Richard Ellis/ZUMA Press) Beto O'Rourke addresses supporters during a campaign stop at Tradesman Brewing Company, March 22, 2019, in Charleston, S.C.
At a meet-and-greet event with O'Rourke on the University of South Carolina's campus in Columbia, five young, black women left 13 minutes into his speech when he was talking about the mass incarceration of black men. Compared to Sen. Cory Booker, D-N.J., and O'Rourke, Buttigeig drew the largest overall crowd during a Q&A session in the gymnasium of Clinton College, a historically black college in Rock Hill, South Carolina. While the crowd was large, there were only a handful of people of color in attendance. "The Investigation" podcast. In a special episode of "The Investigation," the ABC News investigative team breaks down the conclusion of the Mueller investigation. After 2,800 subpoenas, 500 search warrants, more than 500 witnesses interviewed, Mueller concluded that "the investigation did not establish that members of the Trump campaign conspired or coordinated with the Russian government in its election interference activities" while not officially exonerating the president on obstruction of justice charges. Our reporters speak with former Homeland Security official John Cohen and ABC News Senior Congressional Correspondent Mary Bruce. Look for new episodes of "The Investigation" all this week. The American Israel Public Affairs Committee Policy Conference continues Monday at the Walter E. Washington Convention Center in Washington. Speakers include Vice President Mike Pence, New York City Mayor Bill de Blasio and Nikki Haley, the former U.S. ambassador to the United Nations. Maryland Gov. Larry Hogan is the keynote speaker at the Syracuse University Toner Prize award ceremony in Washington, which begins at 6 p.m.
Presidential candidate Andrew Yang will hold an event in Chicago beginning at 6 p.m. CST. Former Homeland Security Secretary Janet Napolitano and former Vice President Joe Biden will speak at the New York Public Library at 7 p.m. offering an insider's view on the state of homeland security since the Sept. 11 attacks.